Sriracha Aviation Co. Ltd, operates the first flying school opened in Thailand. 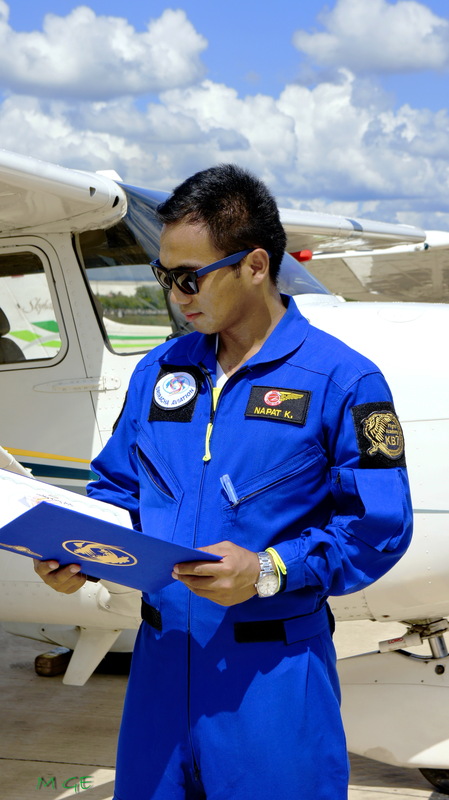 Those interested in obtaining their license can receive an ICAO approved Pilot License (PPL CPL IP IR & ME) from the Sriracha Flight School through ground and air training provided by certified flight instructors from the Royal Thai Air Force. All of these pilots have almost 20 years of instruction experience and each have logged thousands of hours of flying time. In addition, an instrument flying class is being planned that will lead to an IFR rating. Air training is conducted using the Cessna 152 Cessna 172 Diamond DA 42 include with Flight Simulator DSim 42 with all planes rigorously maintained by very experienced, licensed mechanics. Each aircraft also goes through regular annual inspection by the Department of Civil Aviation (DCA) with Sriracha Airfield having the only maintenance facility on the Eastern Seaboard that is authorized by the DCA. We can address all of your needs individually. Thank you for your interest, we look forward to hearing from you. We have a fully equipped ground training facility and provide everything you need to complete the ground training quickly to enable you to start on your in-air flight training. Our ground school has certified, experienced instructors and also has a flight simulator. Please refer to our Frequently Asked Questions (FAQ) for answers to questions you may have about our flying school.